LOUGH CLASS 0-6-4T NO.27 "LOUGH ERNE"
"Lough Erne" and her sister "Lough Melvin" were the last steam locomotives built for an Irish 5'3" gauge railway. 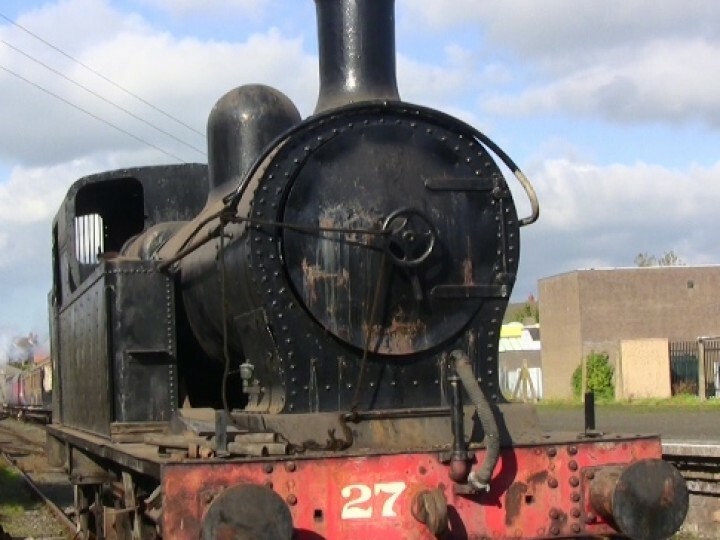 They were built by Beyer Peacock in 1949 for the Sligo, Leitrim and Northern Counties Railway. The 'Lough' class once again used the unusual 0-6-4T configuration of the previous 'Sir Henry' class - "Sir Henry", "Enniskillen" and "Lough Gill", built in 1904, 1905 and 1917 respectively. The 'Lough' class looked somewhat different but apart from cosmetics there were few significant design changes; the most notable being cylinders of 1" greater diameter and the substitution of a screw reverse for the 'Sir Henry' class' lever reverse. Both engines were painted black with red buffer beams. The brass nameplates were also painted black, with the raised lettering and borders picked out in red. At the time the SL&NCR could not afford to buy the engines and instead leased them from the manufacturers. 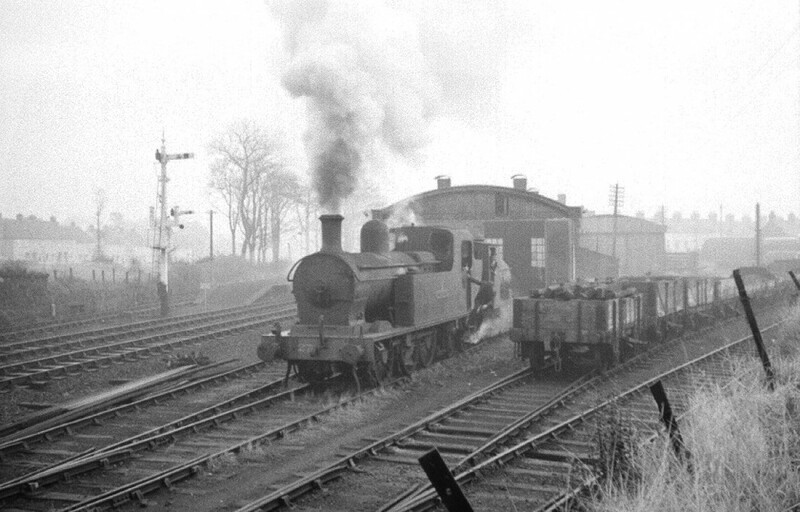 After the railway's closure, the other remaining steam engines went for scrap; however, the Ulster Transport Authority - the body now running all railways and bus routes in Northern Ireland - bought the two 'Lough' class from Beyer Peacock in 1959 for use as shunting engines. The SL&NCR had never given numbers to its engines, but now the UTA gave them the numbers 26 ("Lough Melvin") and 27 ("Lough Erne"). They also added straw coloured lining and the UTA crest. The appearance of the nameplates was also altered; the red paint was removed from the border and the lettering, which were then polished. "Lough Melvin" kept a black background to her plates, while on "Lough Erne" the background was painted red, in the style of NCC nameplates. This is worth repeating - while museums, painters and model makers almost always depict SL&NCR engines with red and polished brass nameplates there is no doubt that "Lough Erne" was the only engine ever to appear this way - and then only after 1959. Initially the UTA's new engines were sent to Adelaide to undertake shunting duties in the Belfast quays and Grosvenor street goods yard. At this stage parts of No.27's rear frames were cut away to increase the angle through which the bogie would move and so allow the engine to negotiate tight curves in the quays area. It was probably also at this time that the steps became bent - more likely by accident than by design! Later the engines were transferred to York Road, Belfast, where "Lough Erne" remained mostly on shunting duties until withdrawal in 1969, shortly before the end of steam on NIR. 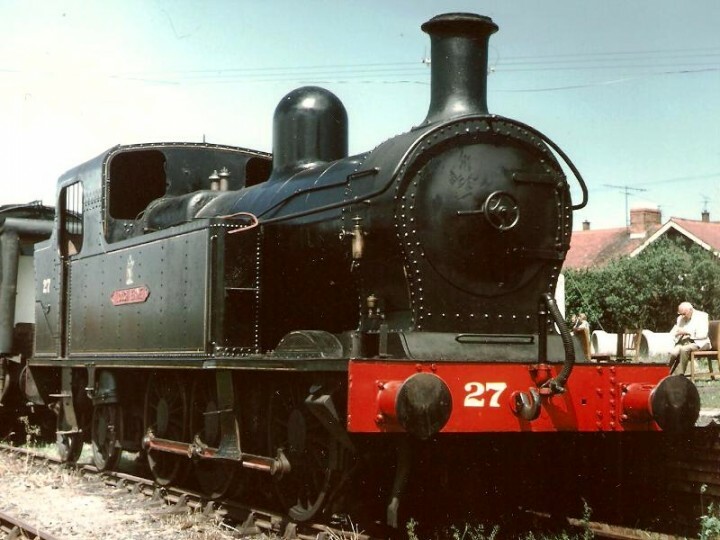 During its time in UTA and NIR ownership No.27 was often seen in the company of NCC class WT 'Jeeps' - like our own No.4 - which despite being slightly older looked considerably more modern - after all "Lough Erne" was a ten-year-old engine almost identical in design to one built fifty-six years earlier! 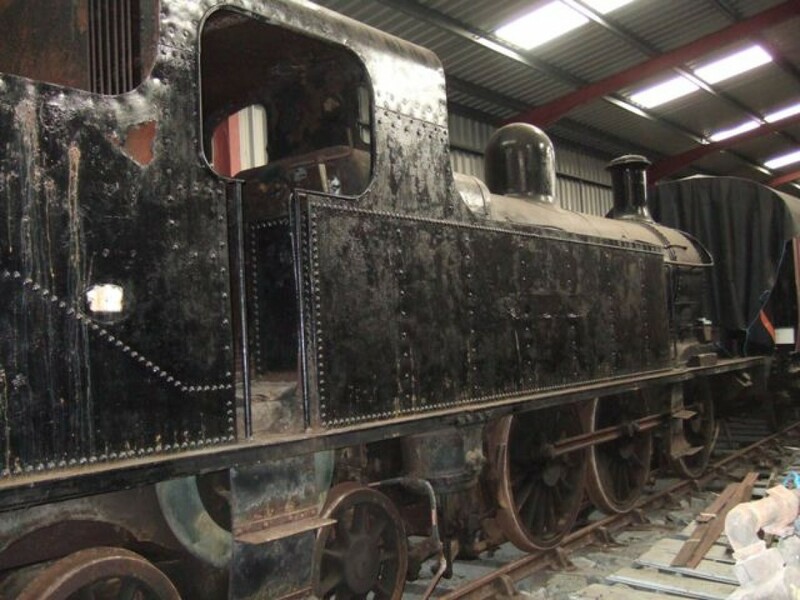 During this period No.27 also met for the first time GS&WR No.186, which was already owned by the RPSI but was at York Road for maintenance work - and in unofficial use by the UTA! After acquisition by the RPSI, she carried out some shunting activities at Whitehead, until her boiler expired in 1972, the last steaming being on 8th July that year. On 29th April 1972 she carried Lord Grey of Naunton, the then governor of Northern Ireland, on the footplate during a visit to Whitehead. 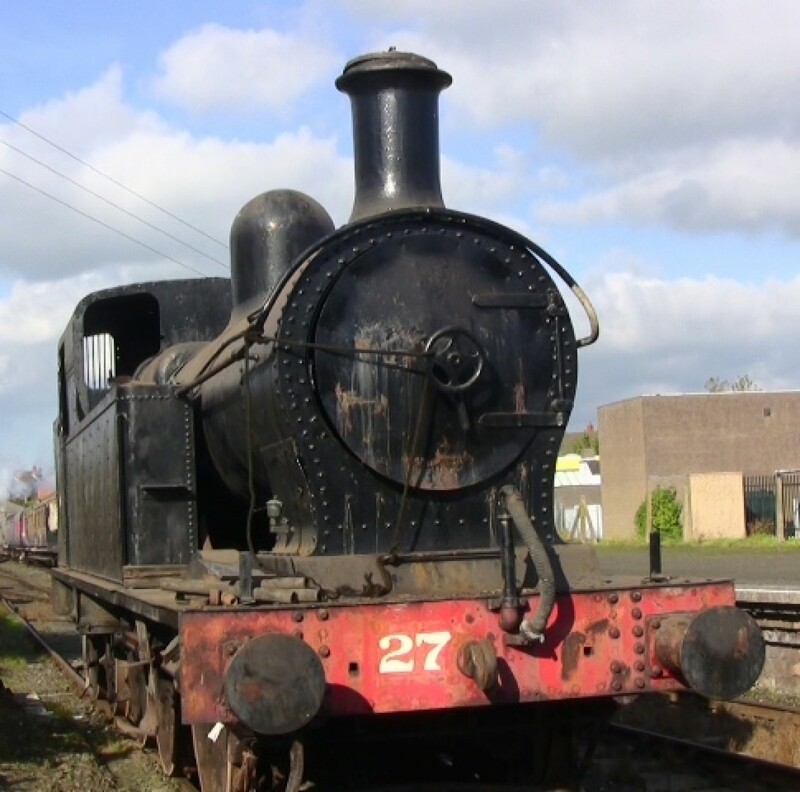 No.27 is one of only two surviving items of SL&NCR rolling stock - the other being Railcar B at Downpatrick. "Lough Melvin" was withdrawn in 1967 and sold for scrap in 1968, although not before the nameplates were cut out from the tanks. These plates are now in the hands of a group of private collectors, but one is at present on display at Headhunters barber shop and railway museum in Enniskillen, alongside one of the "Lough Erne" plates which is on loan from the RPSI - parts at least of two separated sisters reunited once again.